Product prices and availability are accurate as of 2019-04-13 00:32:46 UTC and are subject to change. Any price and availability information displayed on http://www.amazon.com/ at the time of purchase will apply to the purchase of this product. 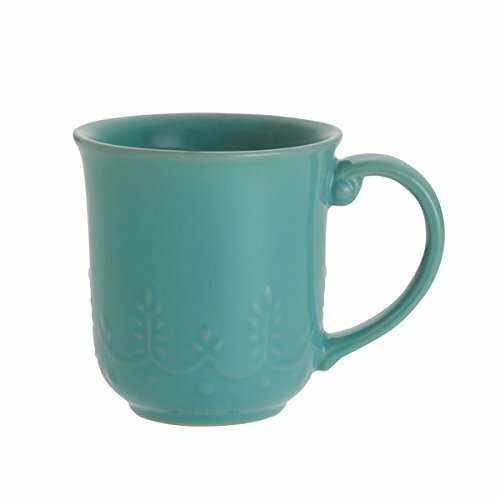 These Paula Deen mugs take a traditional shape and add a fun twist with raised vintage-inspired details that give a nod to Southern style. These mugs will have everyone smiling and make the coffee, cappuccino, mocha or tea that much more enjoyable. 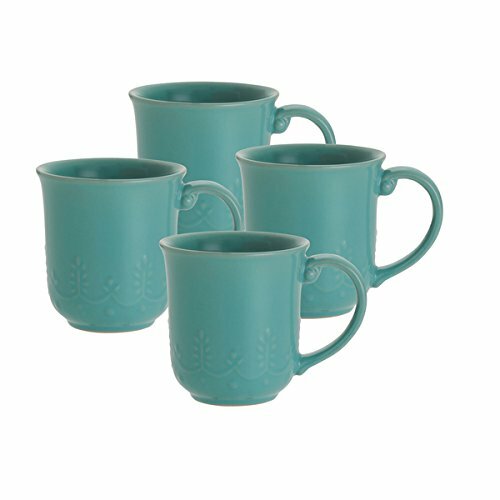 Serve your favorite hot beverage in style with this set of four Paula Deen Whitaker mugs. 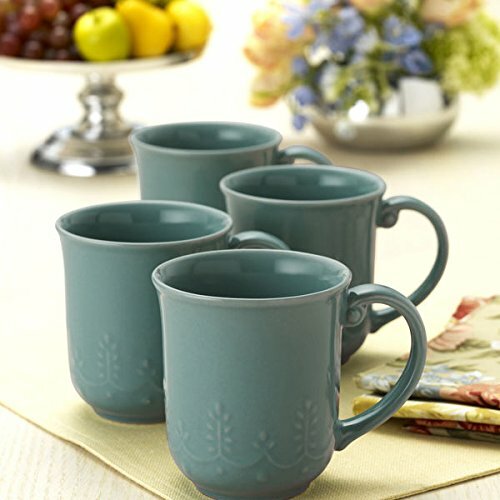 These charming mugs come in a set of four and are made of stoneware, promising durability while also being dishwasher and microwave safe. Each mug holds a generous 12 ounces and comes in cool aqua with understated raised vines, certain to accent any kitchen decor.